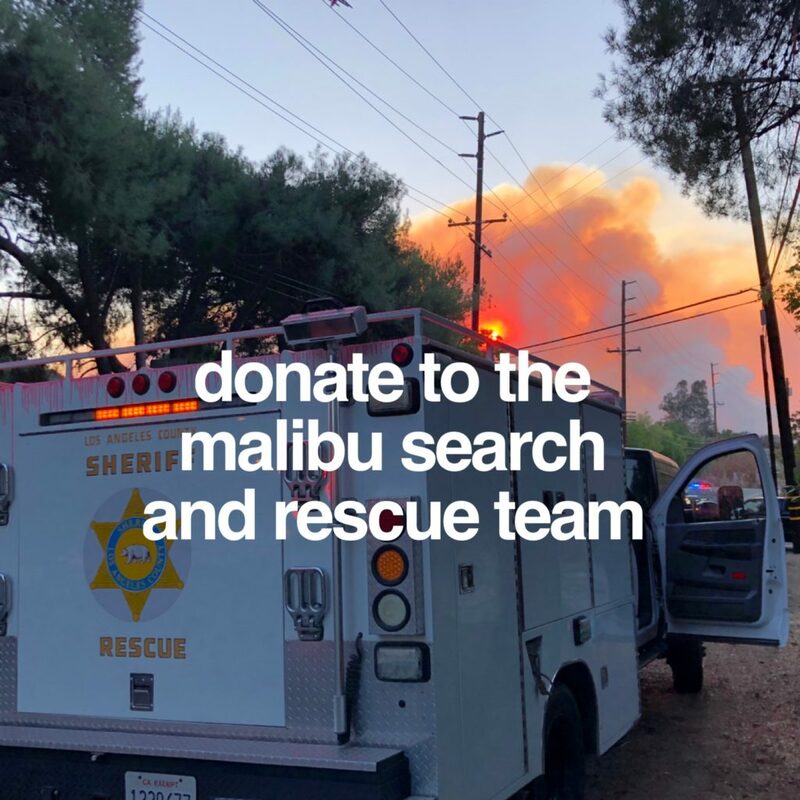 As towns like Paradise, California and other LA suburbs are all but disappearing under the ravaging wildfires, an unsung group called Malibu Search and Rescue, a team of the Los Angeles Sheriff’s Department, has been quietly saving lives and homes, all while risking their own. 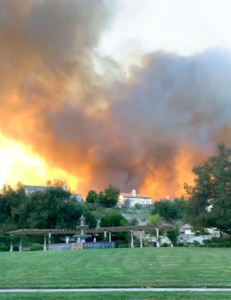 On November 7th, the Woolsey wildfire was moving fast toward the well-known community of Calabasas, specifically a community called The Oaks. The Oaks sits atop a hilly mountain range, just north east of Malibu Creek State Park. At the time, the fire didn’t look as if it would make it that far, but embers and other fiery deposits soon found their way to the community due to the high winds. In a matter of hours, homes and hilltops were burning. While firefighters were trying to stop the fire from spreading further up the mountain, some flames had already reached homes. That’s when Malibu Search and Rescue stepped onto the scene. Racing through black smoke, the team reached the hillside of Calabasas. Working tirelessly throughout the night, they were able to keep the fires from reaching many homes throughout the community. The Malibu Search and Rescue team was founded in 1977 as an all-volunteer organization comprised of Los Angeles County Sheriff’s Department Reserve Deputy Sheriffs, a select few Civilian Volunteer Specialists and Incident Support Personnel. Team members volunteer their time and efforts to help others and the team does not charge for rescues. The Team is also a member of the prestigious California region of the Mountain Rescue Association. When disaster strikes Malibu and the surrounding communities, the Malibu SAR team step into action. Over the past year, they’ve had over 165 rescues, the highest in its history of operation. Members of the team not only save homes, but risk their lives saving children who’ve fallen into ravines, cars that drive off a cliff, adults stuck in the wilderness of the Malibu mountains, and of course fires. The Malibu SAR team relies endlessly on donations and support from the community. You can head to http://malibusar.org/Donate.aspx to help the team continue their fantastic work. Wildfires are becoming more common across the U.S., forcing many to breathe in the hot, smoky air these fires leave behind, which can lead to a range of health concerns. Studies have shown that children, elderly members of the community and those with existing health concerns are the most at risk. In the short-term, exposure to wildfire smoke can worsen certain medical conditions like asthma and lung cancer. Reports have also shown a spike in the number of reported cases of pneumonia, heart attacks, and other ER visits in the aftermath of wildfires like those ravaging Southern California. For many, this smoke may feel like harsh urban air pollution, leading to itchy, watery eyes, excess coughing, and other mild symptoms that tend to disappear after the smoke settles. But over time, prolonged exposure to wildfire smoke can lead to some significant health risks, including heart attacks and cancer. Firefighters working to contain the wildfires have complained of decreased lung functionality and some tightness in the chest. Studies have also suggested that firefighters are at a greater risk of lung cancer. With wildfire season getting longer year after year, some in the medical community are starting to look at the harsh effects of wildfire smoke differently than they have in the past. While breathing in all that hot, smoky air may be annoying for a few days, things could take a deadlier turn if these fires become more frequent. Why Is Wildfire Smoke So Dangerous? Wildfire smoke contains vapor and soot particles that can penetrate a person’s bloodstream, which can damage their blood vessels and cause inflammation. Breathing in this kind of air can wear down a person’s blood vessels over time, leading to potentially serious health concerns. While breathing in the smoke can have a negative effect on a person’s health in the short-term, the medical community has yet to study the long-term effects of wildfire smoke. Documenting the health effects of these fires can be difficult, especially when authorities can’t track or contain the smoke. The excessive nature of these wildfires is still a relatively new phenomenon, which means scientists have yet to understand the full scope of the effects. Wildfire smoke can also spread to regions far away from where the actual fire took place. 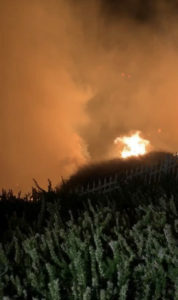 Residents of many neighboring towns and cities across the Southern California area have reported and complained about the wildfire smoke, even if their town wasn’t affected by the fire. A recent study of around 6,000 California residents after last year’s wildfire showed widespread eye irritation, respiratory problems, and higher levels of anxiety and depression long after the fires were extinguished. What Does This Mean for Ordinary Individuals? If a person is exposed to wildfire smoke for a few hours or days, they may experience some minor symptoms, but these should clear up once the smoke clears. Children, the elderly and those with existing medical conditions may run into additional health problems, so they should breathe in the smoke as little as possible.